Sign Up Now — Build Your Career! 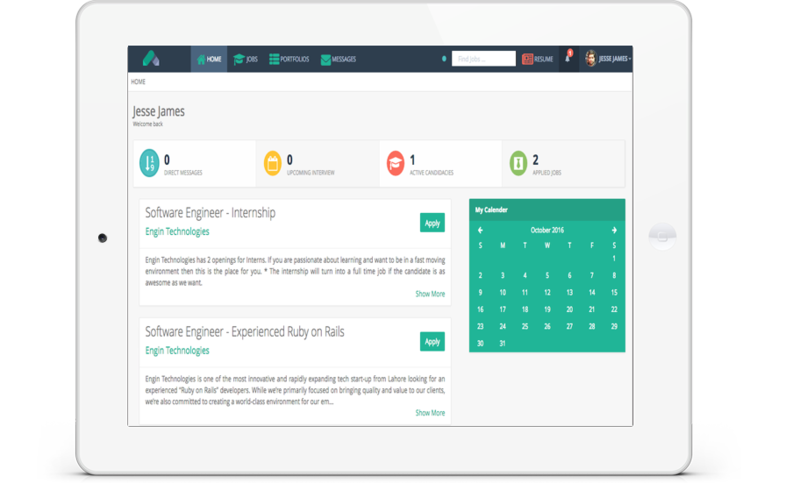 Get access to 1000s of jobs tailored to your skills directly from your dashboard. ActiveApplicant is an cloud based Job Portal, It is the other half of ActiveHR, Which 1000,s companies use to post job. With our state of the art recommendation engine, We make sure that as soon as a company posts a job which is a prefect match for your skill set, We instantly recommend you. With just a click of a button, You can easily apply for the job. Why stop there ? Our system is designed in such a way that it keeps track of your status for each job you have applied showing you live status of your application. From posting to jobs to signing offer letters. All will be done via your ActiveDashboard. Just sign up and follow the wizard to complete your profile. 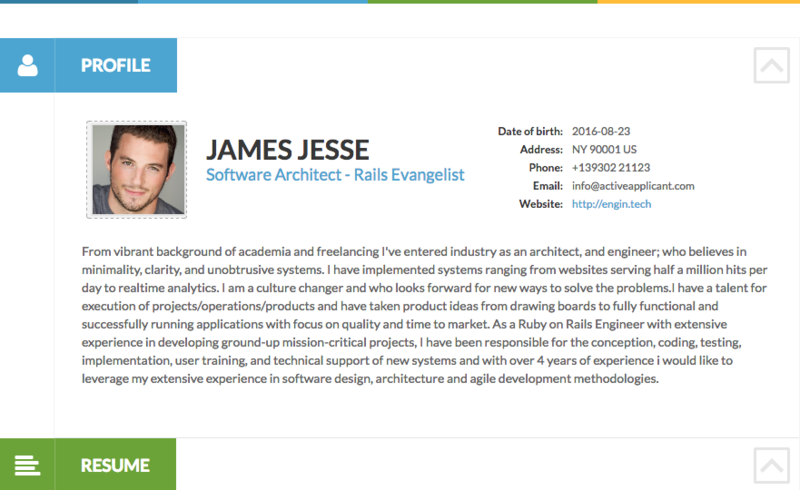 Add your education and job history and sit back and watch your online ActiveResume get build. Follow companies and track jobs as soon as they are posted. Our state of the art recommendation engine kicks in as soon you complete your profile, And based on your skill set. It recommends you the perfect job. Now what are you waiting for ? Lets get started. Apply to jobs we recommend, or search your own. Apply to jobs and send your online ActiveResume along. See your job application status and keep track of when you get shortlisted or called for an interview. Use our state of the art online resume builder. Just drag drop and add your details and the system will generate a unique online resume for you. Print it, Share it or auto read it from QR code right from your sreen. Keep adding your work and education expereinces. And the system will keep updating your online resume. Give your resume a personal touch by custom selecting your theme and colors. Now make an impression to the employer with your professional online resume! Tell us about your expertise by applying & becoming a consultant in ActiveApplicant. Once approved, Get access to 1000s of companies on ActiveHR looking for professionals. We will match you to the best companies and jobs based on your skill set. Once hired, Just start the contract and start getting paid through ActiveApplicant. ActiveApplicant is an end to end automated cloud application for managing your professional career/resume, Connecting with the right companies, Finding and landing the right job. It's also a platform for professional consultants to connect with the right companies and help them earn from within ActiveApplicant & ActiveHR as they do professional consultancy. ActiveApplicant - ActiveHR. 2015 - 2019. All Rights Reserved.